Welcome to our Sports Competitions page! You’ll discover the results of our latest sporting events right here. Have you checked out the Sports Ambassador Challenge? Click here to find out more! On Wednesday 27th February 2019 a team of year 6 children went to a hockey tournament at Stonar School. In the hockey team were Molly, Ottilie, Tara M, Sophie W, Joel, Charlie T, Sebastian M and me, Bobby! When we arrived I think we all felt a bit nervous but also excited to have the opportunity to play at the tournament. We had not had much practice as a team and were a bit worried that the other teams would be really good. Our first match was against Bitham Brook and we all really enjoyed it because we played well and this gave us confidence. Charlie T scored two amazing goals which meant that we won the first game with a 2 nil win! Our second match was against Winsley school and we found this game harder. Sophie W and Tara M showed fantastic defence skills. This meant Winsley were not able to score any goals, however we also did not score any goals. Our third match was against Holt and I found this game frustrating as I did not agree with some of the referees decisions. Holt had a great team but we were able to stop any goals with great defending. Joel and Molly showed great attacking skills. Unfortunately we did not score any goals in this match. The result was 0-0. Our fourth match was against Crockerton and Sebastian scored a fantastic goal putting us in the lead. I then scored a second goal so the result was 2-0 win to us. Because of our great team work we went into the semi finals where we played against Stonar school who were incredible. This was a tough game that went into extra time as no one had scored. Ottilie showed some great defending skills! I came off injured and could not play in the extra time. I felt sad about this as I felt I let the team down. Sebastian made an incredible save but unfortunately it did not count and the referee said that it was a goal. Our final match was against Westwood which saw Charlie T score a winning goal giving us a 1-0 win. This put Christchurch school in third place overall! I think we all were very proud of our efforts and think we would make a great team if we practised together more! Thank you Mrs H.P for coaching us and for getting so excited during our games! You were our biggest fan! 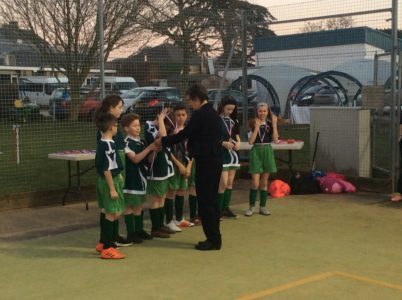 We were in the middle of a PE Lesson when Mr Kiley announced that it was time to leave school and head over to Chippenham where we were going to take on the best school teams in Wiltshire. We were ready; we had won the last tournament and were very confident about this one. About half an hour later, we had finally arrived at Stanley Park- the destination of the football pitches we were going to be playing on- and to be honest, nobody really wanted leave their cars into the cold, heavy rain. We had our lunch and watched the end of the small schools’ tournament and then we were raring to go. Soon we were out in the rain like it was nothing and were warming up. It was amazing; all around us were schools from all around Wiltshire playing football against each-other. It truly was incredible! Unfortunately, our matches were delayed a bit but at least that gave us more time to train. Mrs H.P. then said that it was finally time to play. At this, we rushed over to the pitches ready to take on Bishops Cannings. We knew our first game was going to be very tough but we bravely fought on and the game ended 2-1 to Bishops Cannings. It was unfortunate that we lost this as it was exceptionally close but we remembered we still had three group games left. Next up were Grange. Again we knew it was going to be tough but still stood strong. This time we lost 3-0. To be fair, it wasn’t our best game but we both played fairly and had good sportsmanship. Fifteen minutes later, we had our penultimate game against Winterbourne. This team again were going to be tough as ever. After a quarter of an hour of hard work and effort, Winterbourne just about came out on top; it was 3-0. We had one more game to go up against Fynamore. We were really hoping to win this one as the other wins had slipped out of our fingers. We changed our positions and off we went. It had started. We were playing very well this game and were not going to lose it. Sadly, one of their players got injured and they had no subs so we had to take one of our players off too! Without a fuss we took a player off and carried on. It ended 4-0 to us and was a shame we had to go just as we were getting into the rhythm but we had no choice. We played well and bravely said Mrs H.P. and maybe next time we can get a win. We all came away with a certificate and a t-shirt for taking part and it was a great experience to have been part of the tournament. The team: Bobby, Lewis, Edward, Joel, Tommy, Owen, Charlie T, Sebastian, Jack and Kit. We were at the astro and were all ready to play. Me, Tommy and Jack were off for the first game against Forest and Sandridge. The whistle blew and the team were off. At first, we weren’t that focused, but then we all woke up. By the end of the game the score was Christ Church 5 and Forest and Sandridge 0. The goals were scored by Charlie, Edward (assisted by Charlie), Lewis and Bobby. Our next game was against Sutton Veny, which we won again 2-0 and the goals were scored by Bobby (assisted by Jack) and Lewis. We were on a roll now and feeling very happy about our first two games. Next, we played The Mead, but they still did not stop us from winning. Our third victory was 2-1. Goal scorers: Bobby (assisted by Lewis) and Charlie. Our fourth match was against North Bradley and was probably our hardest match. 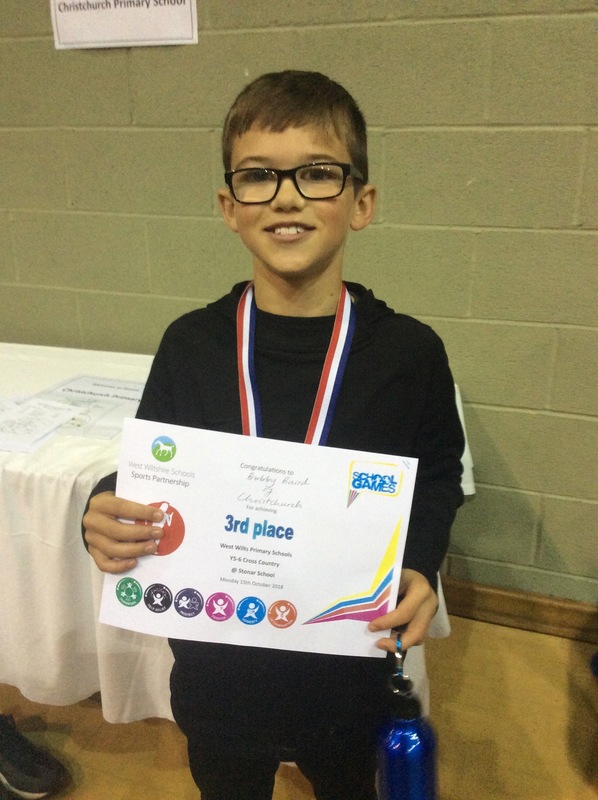 The ref said that Basti’s brilliant tackle was a foul, but North Bradley played advantage, then Christ Church got one in the back of the net – the ref said it was a goal which then led to a lot of 10-11-year-old children arguing and some even arguing with the ref! In the end it turned out to be 1-1, not counting the unstoppable goal. Our one goal was scored by Bobby. Our last game in the 1stround was against The Manor, who when I had been off, I had been spying on. My detective work gave me the results that number 8, 9 and 10 were in my opinion the best players in their team. By the end of our last game the score was Christ Church 3 and The Manor 2. Goal scorers: Charlie, Lewis and Bobby. As we had won 4 matches and drawn 1, we were through to the next round. We had made it to the semi’s and my nerves felt like they were having a spasm attack. We were playing Jack’s old school, The Grove so he was able to tell us who to pressure. I was super-duper excited but also a bit disappointed in myself for not getting a goal yet. First Tom walloped the ball at the goal and managed to get it past the keeper – it was 1-0 to Christ Church. Next The Grove had a chance, but Bobby tackled them and tapped the ball back to me. Bobby ran down the wing as I kicked it back down to him. He dribbled it past about 5 players and placed it bottom corner from the side of the net. The next goal was possibly the best goal we had scored in the entire tournament – the ball deflected off one of The Grove’s players about 4 metres from the halfway line, then Lewis got the ball, kicked it up into the air, it curled and ended up top left corner. It was quite funny because Lewis didn’t really celebrate, he just stood there looking like football was his everyday life, which it pretty much is. The whistle blew for full time and we went to shake hands with the other team’s players. We were through to the final, but we still didn’t know if we were refacing North Bradley or playing Melksham School, who were in the other group in the first round. As the other semi-final game went on for a while, we had some time to ‘relax’ but we all just chose to play even more footie! When the game went on to golden goal, suddenly Leo from Bobby’s Bradford team, volleyed it to the back of the net. Finally, it was time to beat North Bradley in the final. I was off for the final, which meant that I could cheer for the people on pitch. I was very nervous for this game but even if we lost, we would still get a golden ticket to the next round. The game had begun and I was already feeling positive about it. Our first goal was scored by Bobby – it was 1-0 Christ Church. Our second goal was scored by Edward. Soon after Ed’s fantastic goal North Bradley got one in, but we were still safe as it was 2-1 Christ Church. To make us double safe Edward got another one! It was 3-1. About 5 minutes later the ref blew the whistle and we had won it, the three subs including me ran on to the pitch cheering and we shook hands with North Bradley. “Three cheers for North Bradley” Bobby announced. “Hip hip, hurray, hip hip, hurray, hip hip, hurray”. Victory was ours and we were given a golden ticket. We all had a photo taken with North Bradley and another just of the great Christ Church team. Because we won the tournament, we now go through to the next round, which is on the 15thof January in Chippenham. We finished school and went straight to the hall. We got changed whilst the other schools were arriving. At around four o’clock the kick off against Winsley commenced and, in not to long , it was 1 – 0 to Winsley. Shortly after that that they made it 2 – 0 and we thought there was no hope before Kit passed it out to Bobby who had a heroic run and made it 2 – 1. It was a good game and there was many highlights in it. It felt good but harder for us because some of us had never played together. The second game however was a bit better for we knew each other better and at 4:20 we started to play Fitzmaurice. This time it was Edward .P who put the ball past the Goal Keeper, to give us the 1 – 0 lead at half time. It was a poor clearance from the defence that lead to a corner which turned into a shot into the back of the net. 1 – 1 was that score for the rest of the game. At 4:35 pm we played our last game of the tournament and it was a lot better. We started at off very good and Bobby got the first goal of the game. Edward got another 2 goals and it was 3 – 0 at half time. The second half the other teem got one goal to make it 3 – 1. It took us to close to the end of the match to get another goal but Joel put one in the back of the net and it was 4 – 1 until Edward got a hattrick and made it 5 – 1 at the end of the game. 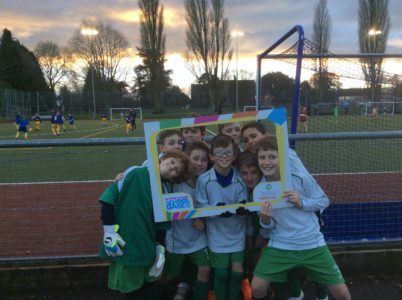 On Monday 12th November 2018 we went to this epic football tournament in Warminster. There were about 6 or 7 other schools taking part. We left school early at 2:20pm and some of us had butterflies because we were excited and nervous. Before our first match we had a practice, which calmed our nerves. We showed good teamwork by doing chanting and passing to each other. We won three matches, drew one and lost one. Our fantastic goal-scorers were Ruby, Ottilie, Lucy and Millie. Mika did excellent saves in goal and the whole team did outstanding tackling and passing. Our captain Ruby did a really good job. All of us felt proud although we were a bit disappointed we didn’t go through to the next round. A big thank you to Mr Douglass and the parents who drove us to Warminster. 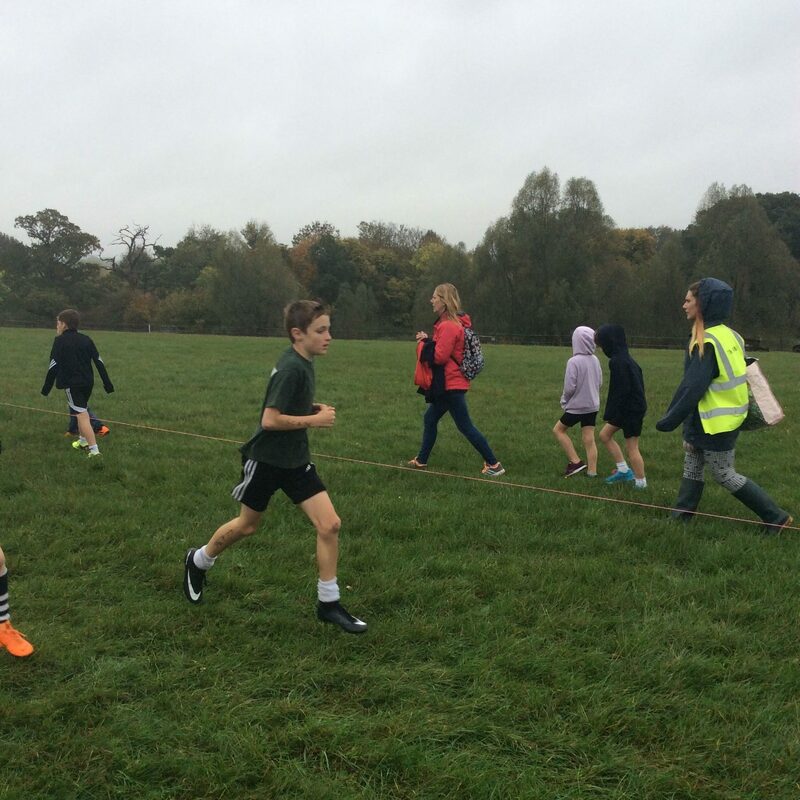 I’m Bobby and this is my report on the cross country run! On the morning of the run we went on the coach to Stonar School and everyone was excited! When we got there we saw lots of other schools and it was a great atmosphere! Before the race started I felt really nervous because I didn’t think I would do very well. The girls ran their race first and we warmed up! We got ready to start the race and I reminded myself to keep running and not look back. During the race I could hear Mrs H.P screaming her head off telling me to ‘RUN’. As I got near to the end of the race I found myself in 4th place and I realised that I could overtake the boy running in front of me. I used all my effort and it was painful!!! But the effort paid off and I came in at 3rd place! 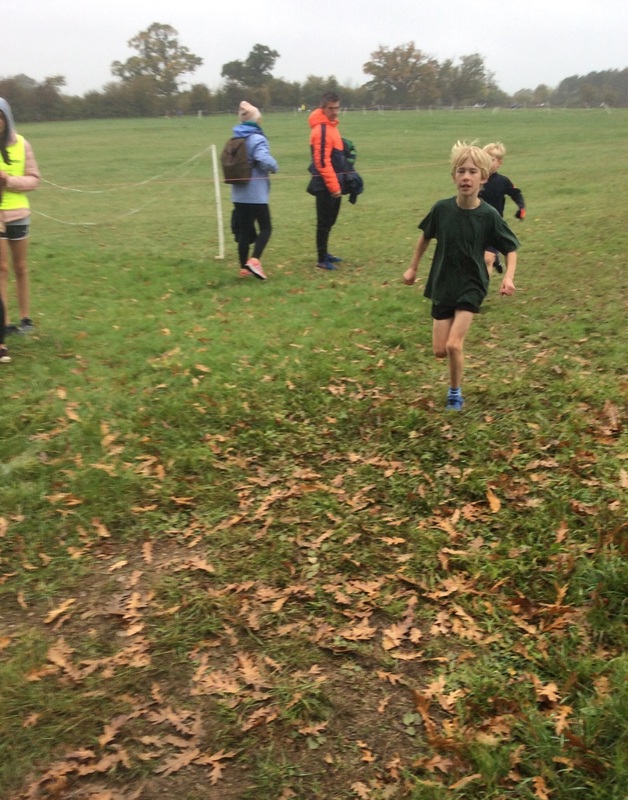 When the race finished I felt relieved and I felt pleased that I came 3rd out of 85 boys. After the race we all had some lunch and chatted together about our experience. The medals were given out and I had to go up and receive my medal and got given a water bottle! After a long morning we went back to school feeling exhausted but happy! P.s my favourite part of the day was Mrs H.P screaming at me to run, I have never seen her so excited. Thank you for your support Mrs H.P! 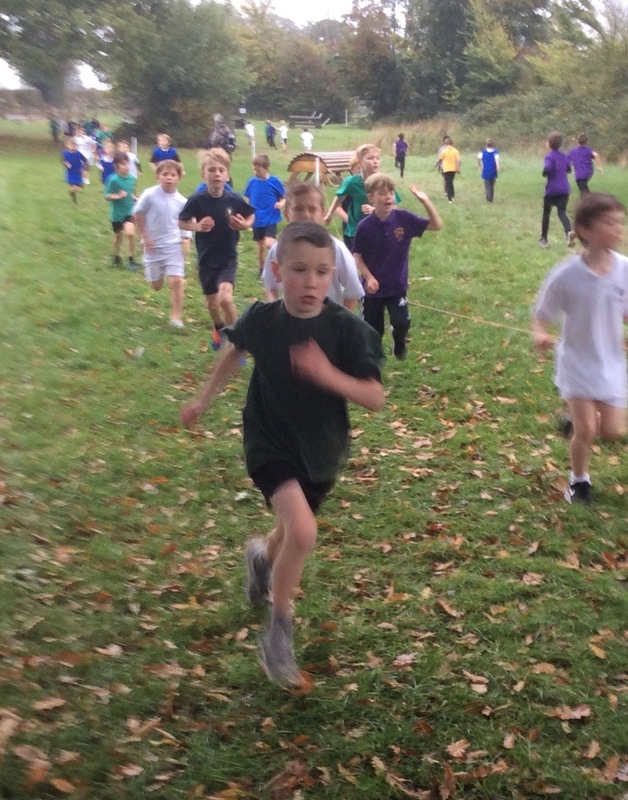 Our Cross Country team of year 4,5 and 6 children went to Stonar to compete against 19 other schools. There were about 85 runners in each race. 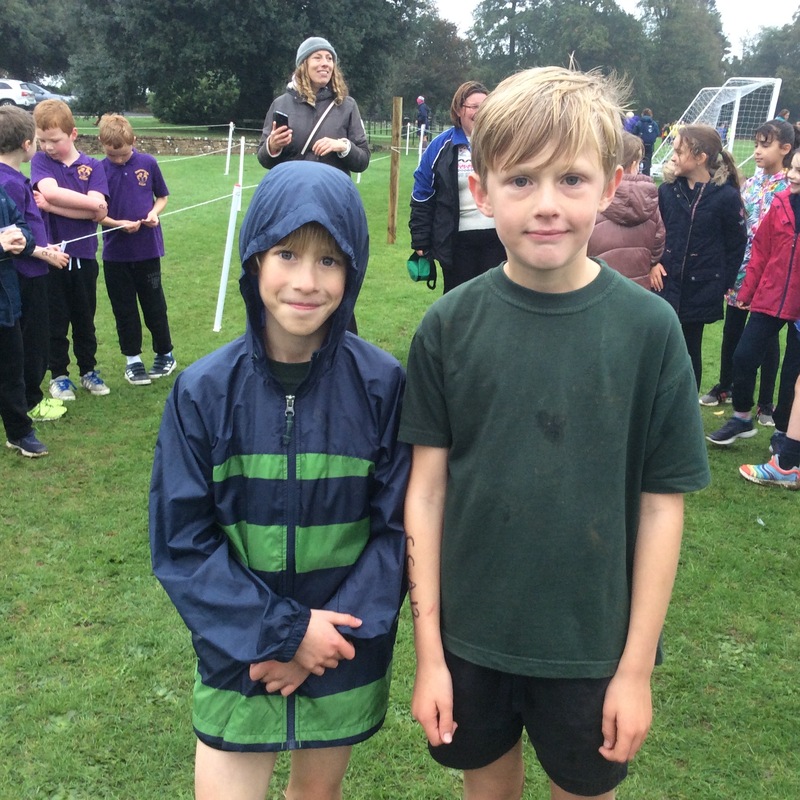 The Year 4 girls team came 4th, and the boys team came 8th! 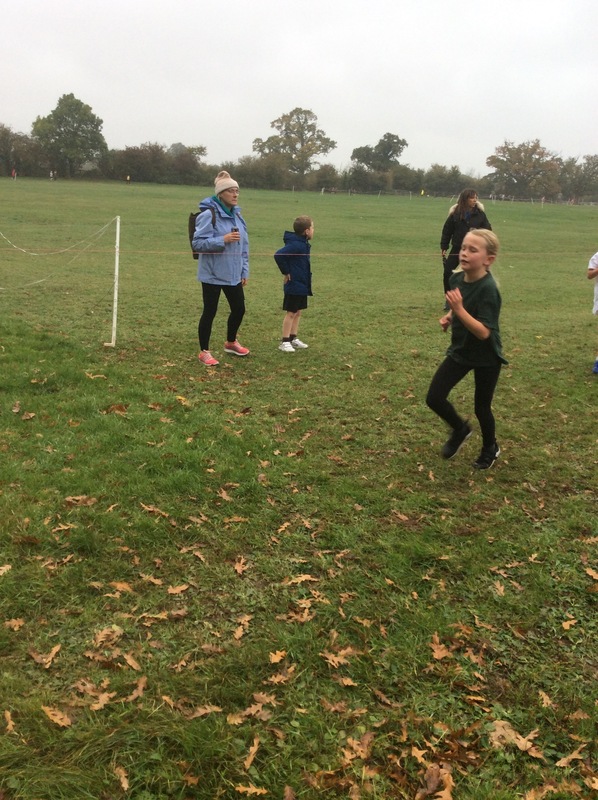 Meanwhile, the Year 5 and 6 girls team came 7th while the Year 5 and 6 boys team came 1st. Overall, Christ Church came 3rd! Well done, everyone.